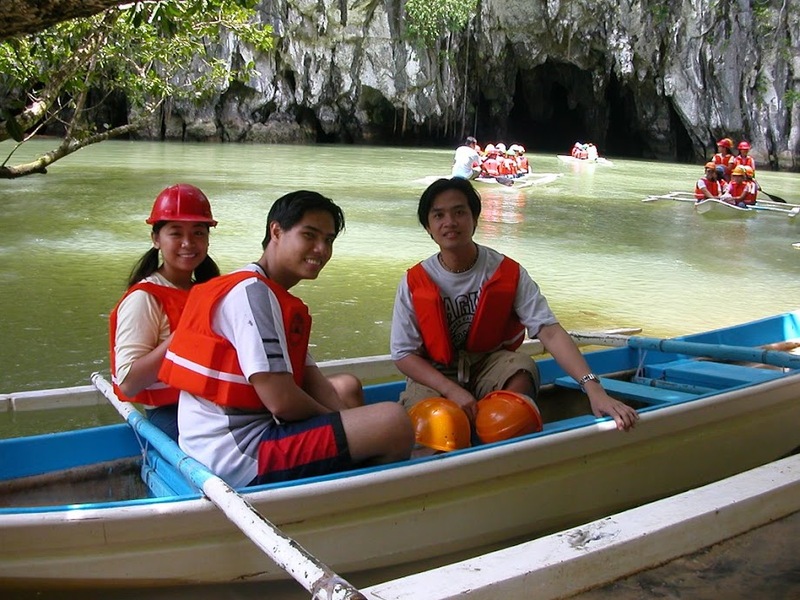 After touring around Puerto Princesa and visiting the Underground River, on our third day we head on for a whole day of enjoying the beautiful waters of the city. This day, we were set to go to Honda Bay for an island hopping tour. Again we were picked up by our tour guides at around 7am from our hotels. On convoy, we once again drove north of the city on the same highway we used in going to the Underground River. But this time, our drive was shorter as we turned right at a junction to head to the wharf where will ride our boat. Posted in Asia, beach, island, Palawan, Philippines. Tagged Honda Bay, island hopping, nature reserve, Puerto Princesa, scuba, snorkeling. After 6 years, I once again have the opportunity of visiting the beautiful island of Palawan at the western coast of the Philippine archipelago. Again I visit Puerto Princesa City now with my wife Jen and 11 other ex-colleagues and friends. Also this time, we took a packaged tour of 4 days and 3 nights to see what the city can offer. I booked our group with the travel agency of a friend in Palawan, Maple Palawan Travel and Tours. Maple have divided our group into two for our accommodations between Liberty Park Pension and RAQ Pension. This is due to full booking at Liberty when we took our package. Our stay with Liberty Park was good with spacious clean rooms, though we had slow service during breakfast. We were told by our other friends that their rooms in RAQ were smaller but at least they had more options for their free breakfast. Posted in Asia, crocodile farm, island, Palawan, Philippines, Puerto Princesa, tour. Tagged Baker's Hill, Iwahig, More Fun in the Philippines, Philippines' last frontier, Puerto Princesa. Like my trips to Austin, I also had two opportunities of visiting the island of Penang on the western coast of peninsular Malaysia. First trip I had was for a week for a summit meeting for our project with Dell and the second was again for the Dell Penang Facility for deployment support. 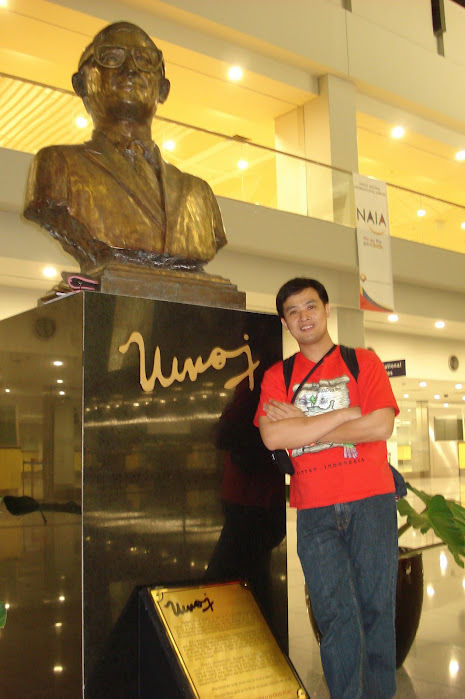 It was in August of 2004 when we had this trip to Penang, my second entry to Malaysia after a very brief entry to Johor Bahru during my first trip to Singapore three months earlier. Also, this was quite an exciting trip that our colleagues in WeServ joked at us for having an Amazing Race-like trip that month. This was because two weeks earlier we flew into Austin, Texas and I flew back and forth to Los Angeles and flew back home to Manila to fly to Penang the next day. It was such a ride. And so from Manila, along with 3 colleagues we boarded a Malaysia Airline flight to Penang connecting through the Kuala Lumpur International Airport, which I thought was very gloomy. We arrived in Kuala Lumpur around 7pm to connect to a 10pm flight to Penang. We arrived in Penang just before midnight and we had our first blooper in Malaysia. That is when our hotel driver walked us to our car, we all headed to the right side of the van. We were surprised that there was no door on that side only to remember that Malaysian driving is right-handed. Posted in Asia, island, Malaysia, Penang, temples, tour. Tagged Batu Ferringhi, business trip, Butterworth, Dell, Georgetown, Komtar, Penang Bridge, satay, Wat Chatyamangalaran. 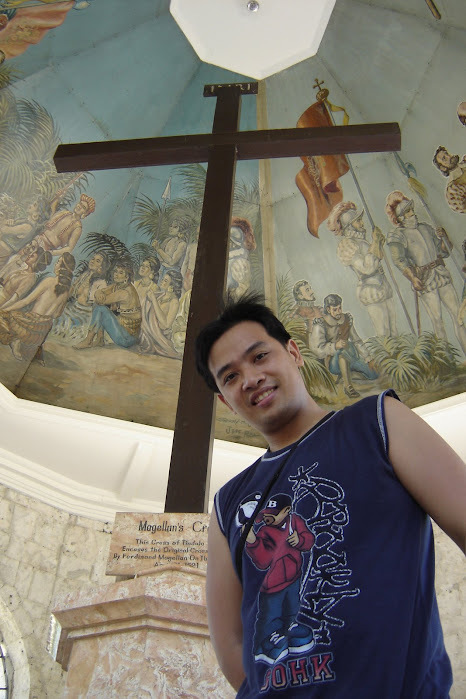 Back in August of 2003, my college friend from UST, Paulo invited me join him and his then girlfriend (now wife) Len for a four-day visit to the port city of Puerto Princesa. Len needed to attend some business on a land they’re purchasing back then and she had to have an ocular. And so, it was a good opportunity to extend the trip to explore the city, plus it was a great time for me to celebrate my birthday. Puerto Princesa lies in the middle of the umbrella shaped island province of Palawan. It also is the capital city of the province which is known as the Philippines’ Last Frontier. Palawan had the most diverse flora and fauna in the country including a vast marine diversity. Today, Palawan is host to two entries of the Philippines to the New 7 Wonders of Nature namely the Puerto Princesa Subterranean River and the Tubbataha Reef. The subterranean river is the longest navigable underground river in the world, while the Tubbataha is a smaller version of the Great Barrier Reef and is home to a great number of species of marine life. Posted in Asia, beach, island, Palawan, Philippines, tour. Tagged Honda Bay, most beautiful tropical island, New 7 Wonder of the World, Philippines' last frontier, Puerto Princesa, underground river, wonder of the world. 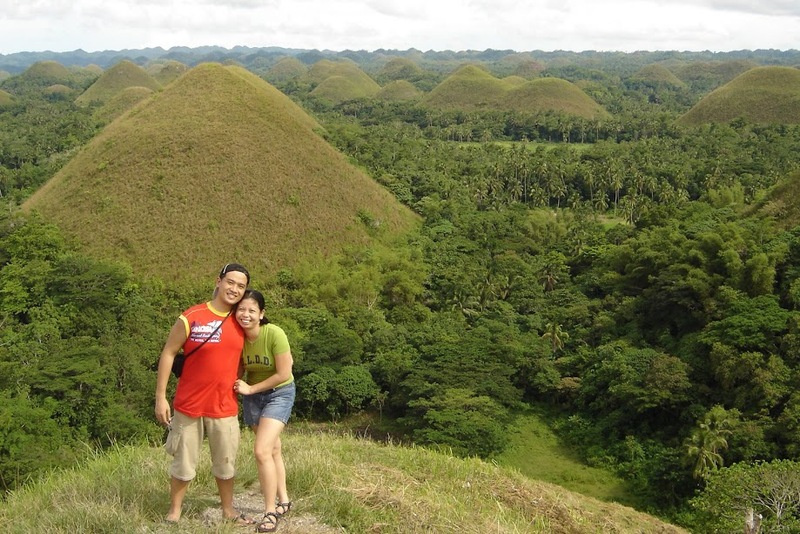 In continuation of our trip last September 2006 in the island of Bohol, our group of 17 people ferry ourselves to one of the key and most historical cities in the Philippines. Cebu City is part of now the great metropolitan region of Metro Cebu which lies in the middle section of elongated island province of Cebu. Cebu (pronounced as ‘Se-boo’) is the center of commerce and trade in the Visayan region of the Philippines and is connected to most domestic airports and some international airports through the Mactan-Cebu International Airport. This makes Cebu as the second major gateway and second most important trade center of the country after Manila. The Port of Cebu also connects the island to other islands in the country. Aside from it’s importance in the Philippine economy, Cebu is also very rich in history as it is considered the oldest city in the country. It marks its existence in history for more than 439 years ago, before the first Spanish expedition came in the islands in 1521 which led to the Philippines’ official discovery, putting it in the map. The expedition led by Ferdinand Magellan that year has seen a thriving settlement with an organized social structure led by a datu. And the settlement was already a center of trade by trading Chinese, Japanese, Malays, Indians, Burmese, and Arabs. Posted in Asia, Cebu, Historic Town, island, Philippines, WWII. Tagged guitar industry, island resort, Lapu-Lapu, Mactan, Magellan's Cross, oldest city, Queen City of the South, Sinulog Festival, Spanish fort, Sto. Niño, sutokil, Visayas. 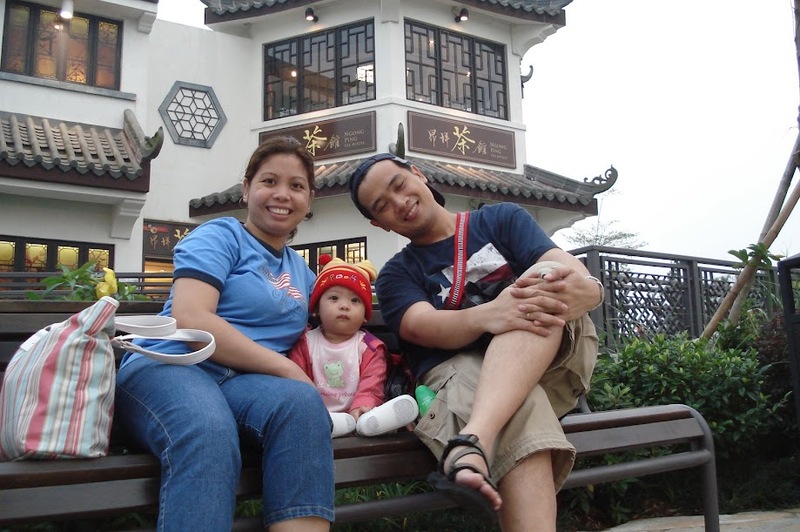 In 2005, I have decided to celebrate Christmas with my brother and his family in Singapore. And during this trip, we have planned to jump on a ferry to the nearby island of Bintan in Indonesia. Bintan is one of the two Indonesian islands that are of close proximity to Singapore reachable by ferries. The other is Batam island. These two islands are frequently visited by Singaporeans for leisure and vacation. And so, we scheduled an overnight stay at the Bintan Lodge within the cluster of Bintan Resorts. From Singapore, we took the ferry at Tanah Merah Ferry Terminal near Changi Airport. We took the earliest trip to Bintan, which if my memory serves me right, took about an hour ride. And since we’re going out of Singapore, we had to pass through immigration from Singapore, and as we arrive in Bintan also. Posted in Asia, Bintan, Indonesia, island. Tagged Bintan Resorts, elephant show, island resort, Mana Mana.